Professor Michael Passche-Orlow from Boston University’s school of medicine. The Western Sydney Health Literacy Hub is here. 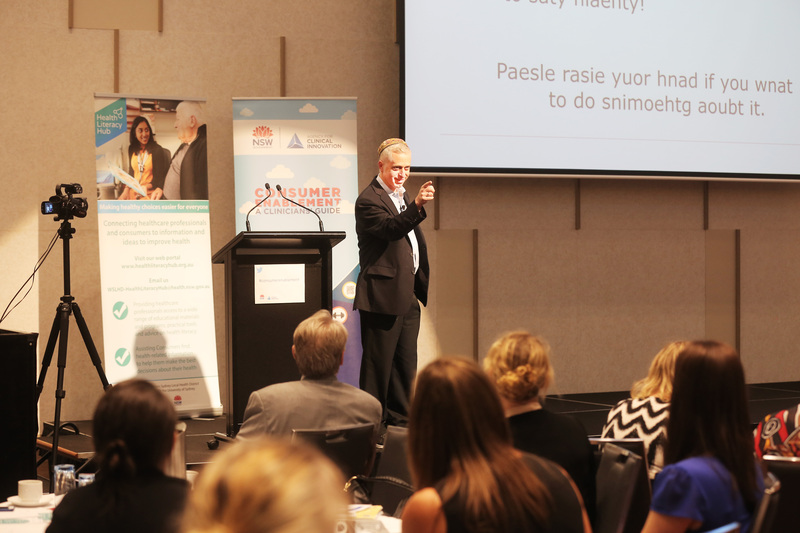 Officially launched at the recent WSLHD Health Literacy launch event in Parramatta, Emeritus Professor Stephen Leeder, head of the WSLHD Research and Education Network who attended the event, shared his excitement about this new resource. “Literacy is a great liberator,” said Prof Leeder. “It sets people free from ignorance and increases their capacity to choose. “The hub owes much to Professor Don Nutbeam’s energetic commitment to health promotion and more recently to health literacy,” he said. Prof Don Nutbeam is leading the Health Literacy initiative at WSLHD. A major initiative of the WSLHD health Literacy team has been the establishment of the health literacy online portal. The Health Literacy Hub provides healthcare professionals with practical support and guidance to help better communicate with their patients. The Hub connects healthcare professionals to advice, guidance and practical support to improve the health outcomes of patients. Representatives from the Integrated and Community Health Directorate within the Agency for Clinical Innovation, the Clinical Excellence Commission and the Western Sydney Primary Health Network had supported the development of the hub, together with representatives from The University of Sydney. “It is a great time to be asking what more can we do to create knowledge partnerships with our communities, both the well and especially those with continuing and complex health problems,” said Prof Leeder. “Encouraging health literacy is an act of humility. It is neither grand nor heroic. “In developing health literacy as professionals our success is directly proportional to the extent that we share our skills and insights – and learn as well as teach. To see the social determinants of health improve in Australia, a health literate population is essential,” he said. Just over 200 people attended the Health Literacy event, including representatives from western Sydney, the Australian Commission on Safety and Quality in Healthcare (ACSQHC), NSW Clinical Excellence Commission (CEC) and Agency for Clinical Innovation (ACI) to hear presentations by international as well as locally-based speakers. Professor Lyndal Trevena, a general practitioner and public health physician from the University of Sydney. Presentations from the launch event will be available shortly on the Health Literacy Hub website so please keep a look-out.